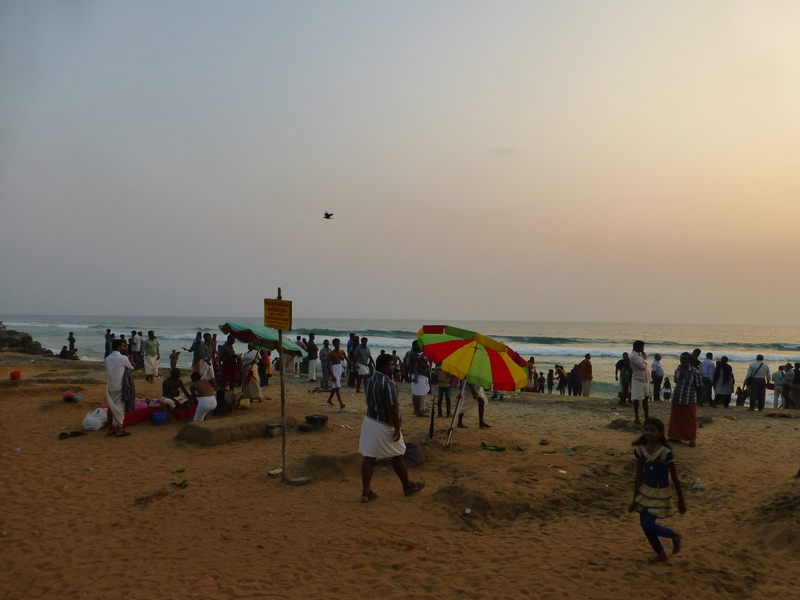 When I walked to Papanasam beach I saw a couple of beds…made of sand. Not every bed was occupied. I was curious by the meaning of this so I went and looked closer. There was a man, a holy man, sitting on one of the beds. He had all kinds of herbs, fruits and supplies near him and when he saw me looking he gestured me to come with him. I didn’t know what to do….I didn’t really know what the meaning of those rituals were. I walked up to him and sat down in front of him. 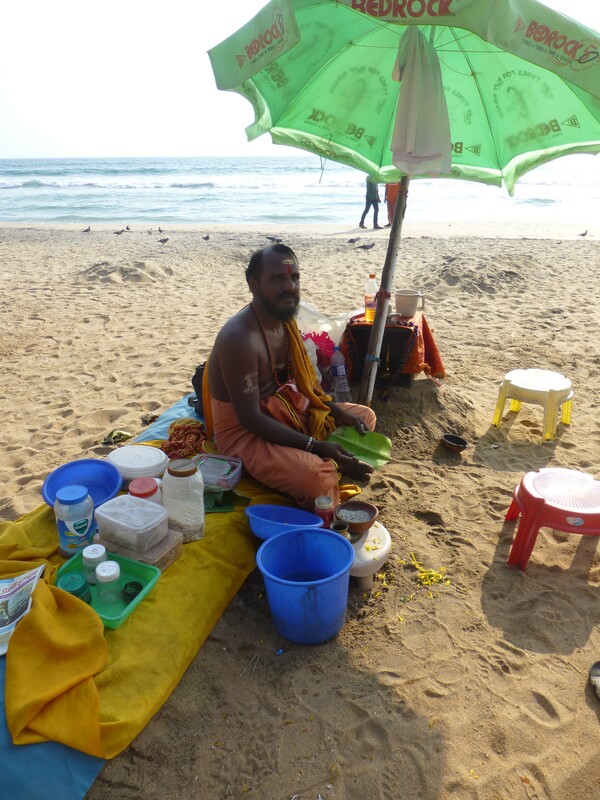 He started to put a straw around my finger and lay down a bananaleaf in front of me. He put something that I don’t recognize on it, a couple of small sticks/wood. He asked me the name of my grandfather and grandmother. And then he started to say or sing or chant a lot of words. He gave me flowers and he gestured to me that I had to lay some of it on the bananaleaf. I had seen this before, at the wedding I attended. I started to understand what he was doing. After a while, and a lot of flowerleafs, he added also a banana and then gave me rice. He poored water over my hand so the rice would flow onto the bananaleaf. 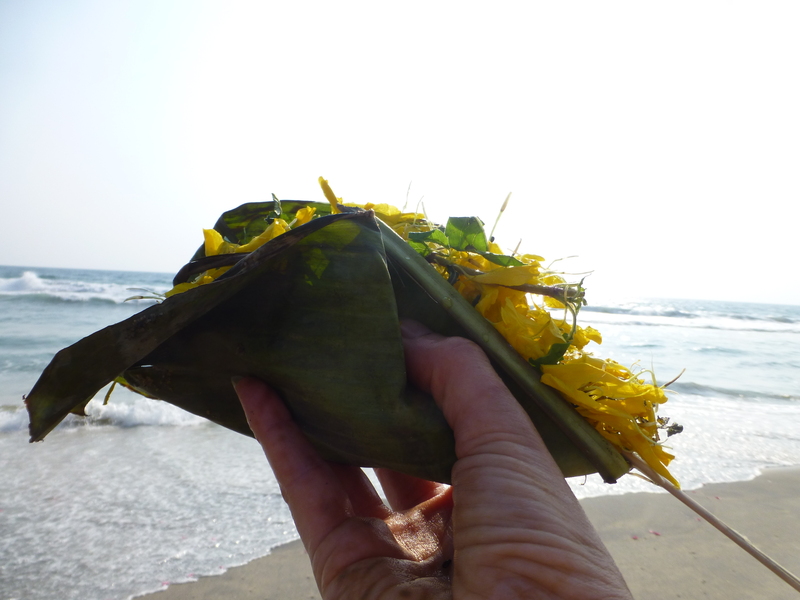 When he was done with his chanting, and my hands were empty he folded the bananaleaf together and gave it to me. He pointed out that I had to go to the sea and offer the leaf with its contents into the sea. I’d seen people do it so I walked to the sea. At the moment of a wave coming I threw it in and when the wave returned to the sea it was already gone. It was underwater and taken by the sea. I looked around me and was wondering what to do. And again I saw the holy man looking at me and gesturing I should come back. When I sat down he put his finger to my forehead and drawed a yellow stripe on it…Then he put his finger in another jar and it came out red. With that one he made a dot onto the yellow stripe. He gave me a smile. 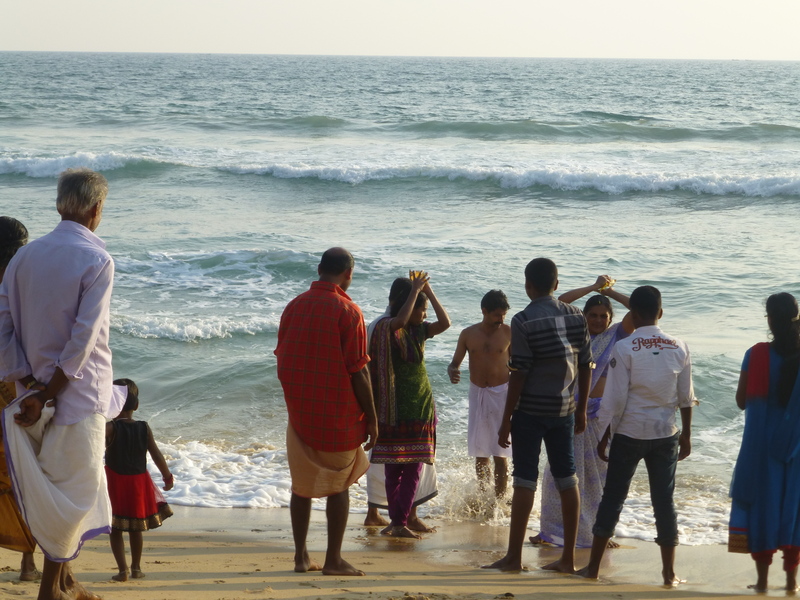 In the next days I went back to that part Papanasam beach. 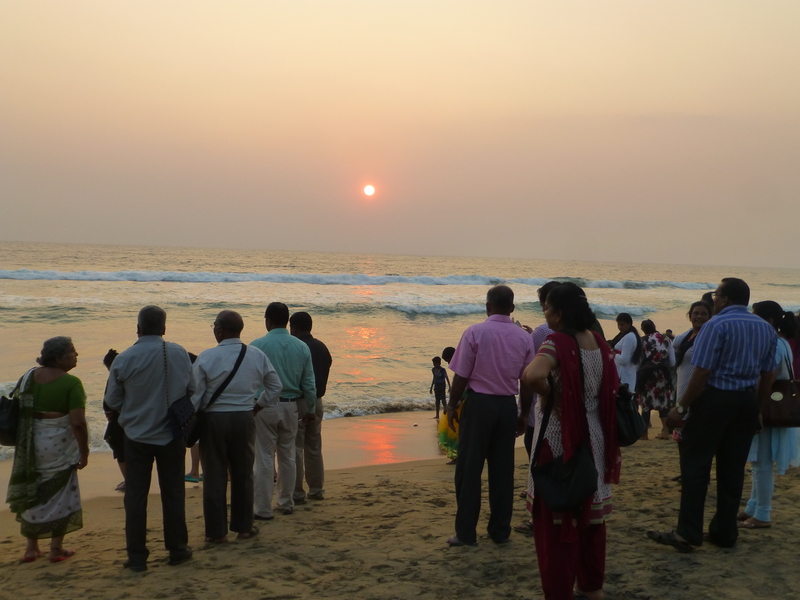 It’s the end of Papanasam beach near Hindustan Beach Retreat. 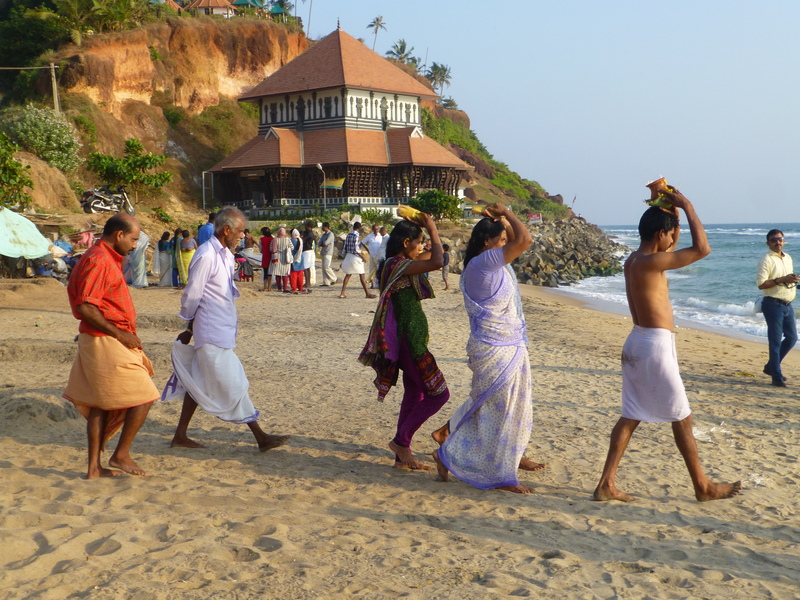 My hotel was near Varkala Beach so I had to walk a while but every time it was worth it. Every day so many people went to the holy men sitting there. I saw people walking with ashes of dead, I think, relatives. So impressive to see that part of their live, it is always a difficult moment to say goodbye I think. I didn’t saw any grief, no tears, they were all happy but serious. 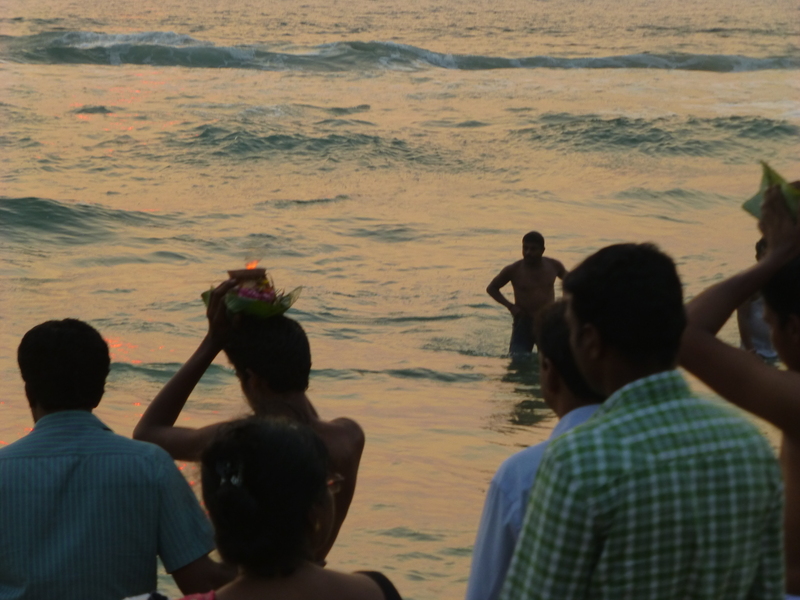 After the offering they would stand together, watching the sea…. Just captering the moment. Great to be a witness of that!! I asked an acquaintance to explain to me what they were doing and what the meaning was of what I was seeing. 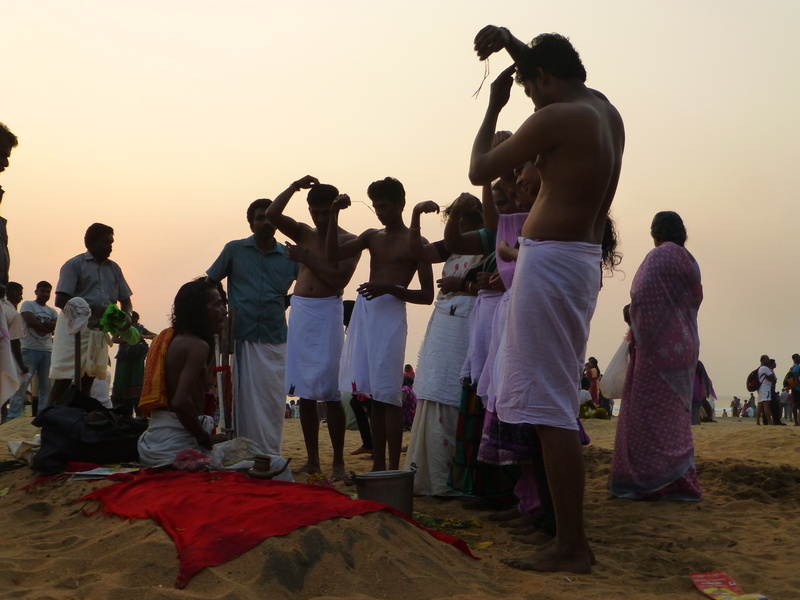 It is called Pūjā, it is a prayer ritual performed by Hindus to host, honour and worship one or more deities, or to spiritually celebrate an event. It is pronounced as pooja or poojah. It may honour or celebrate the presence of special guest(s), or their memories after they pass away. The word pūjā comes from Sanskrit, and means reverence, honour, homage, adoration, and worship. 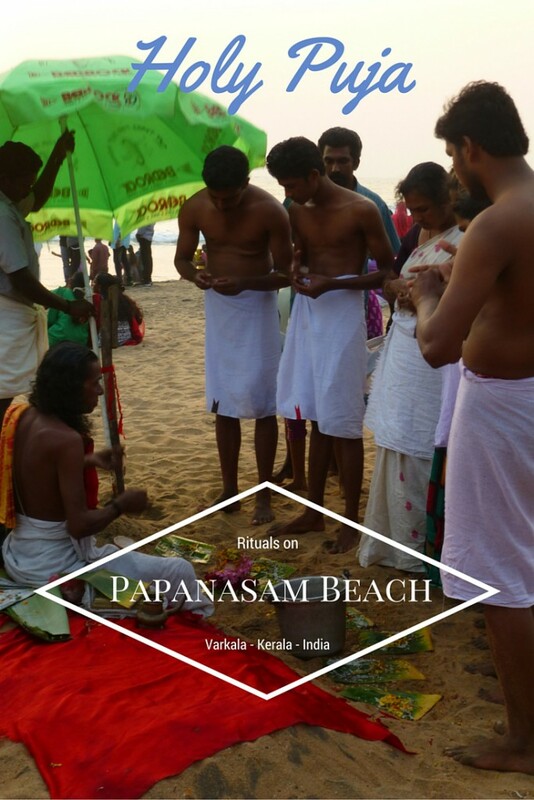 Take a look at this picture I took on Papanasam Beach. I posted it under Postcards and love how it has all the vibes that you feel standing there and watching those families. Hi, I just read your lovely article. 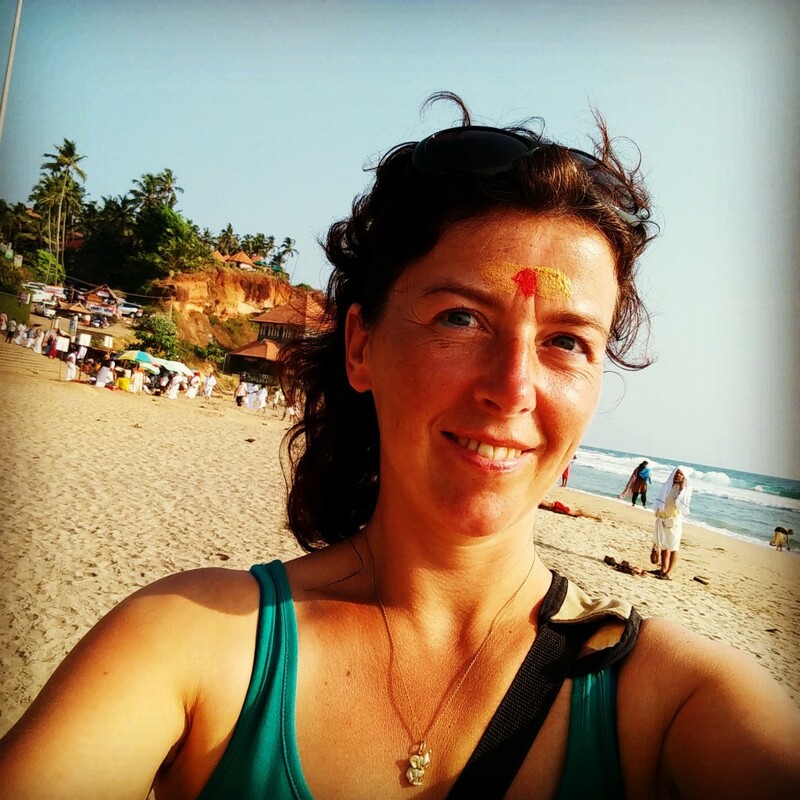 I am in Varkala right now and I would like to take part in this ceremony to remember a dear friend who was cremated in the UK yesterday. I realise that the holy men do this for a living and I was wondering if you could suggest an appropriate amount to pay them. 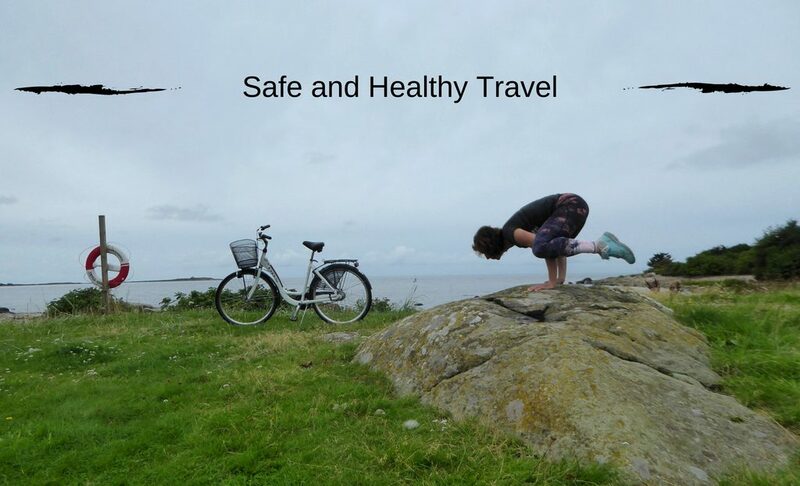 It defenitely depends on what you can miss. It means more that you give from the heart then the amount… I hope you have a good time and feel good about the ceremony. Just a thought but is it not an insult to the family of the dead to treat their holy place just like any other beach where you swim and have fun and buy trinkets? We would accept that behaviour in a cemetery…. Thank you!! I loved being part of it!! To be witness of all those rituals is great! So love India for that!! Interesting ritual. 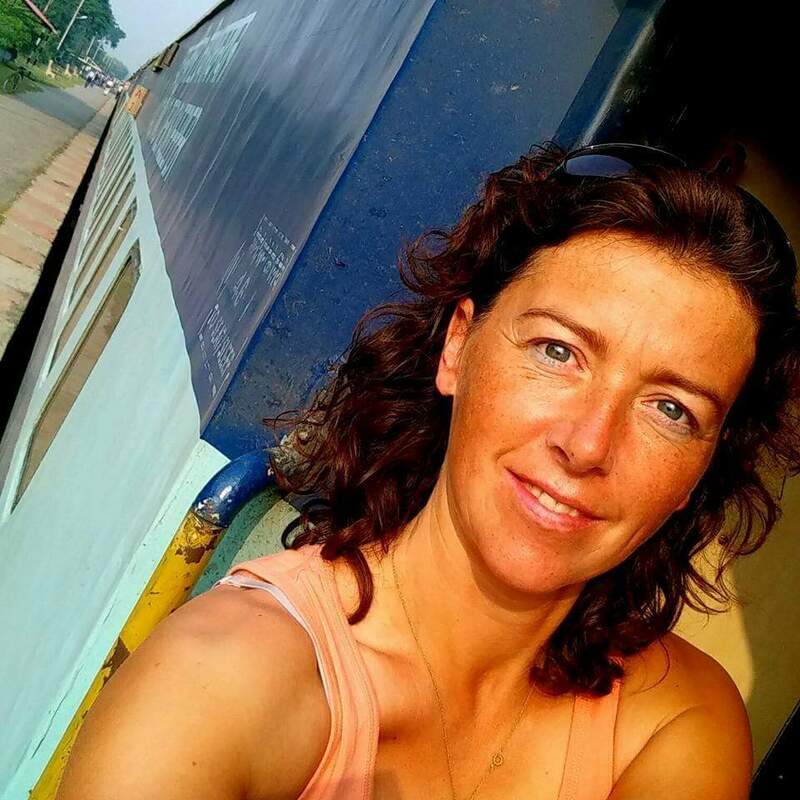 India has maintained the richness of their traditions. Thanks for sharing.